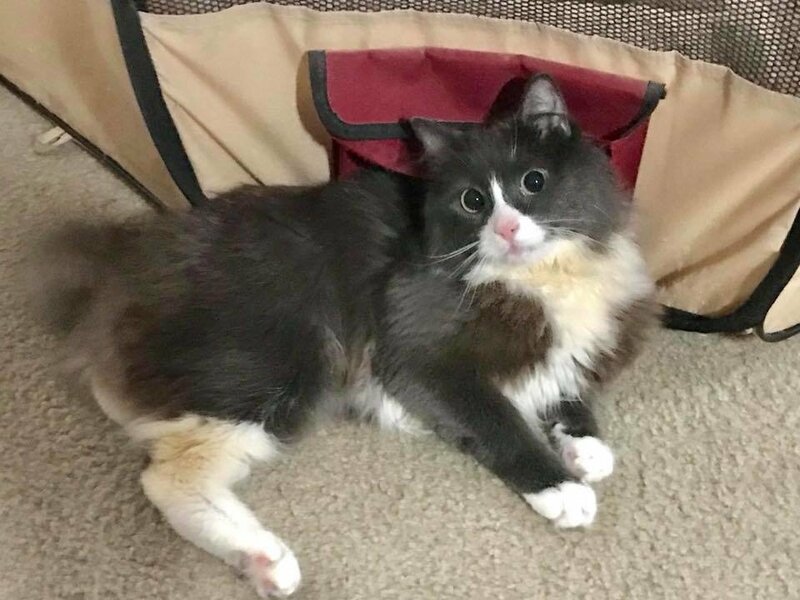 Home animals Wobbly Kitten Rejected at Birth, Finds Happiness Through Those Who Believe In Him, Now 2 Years Later. 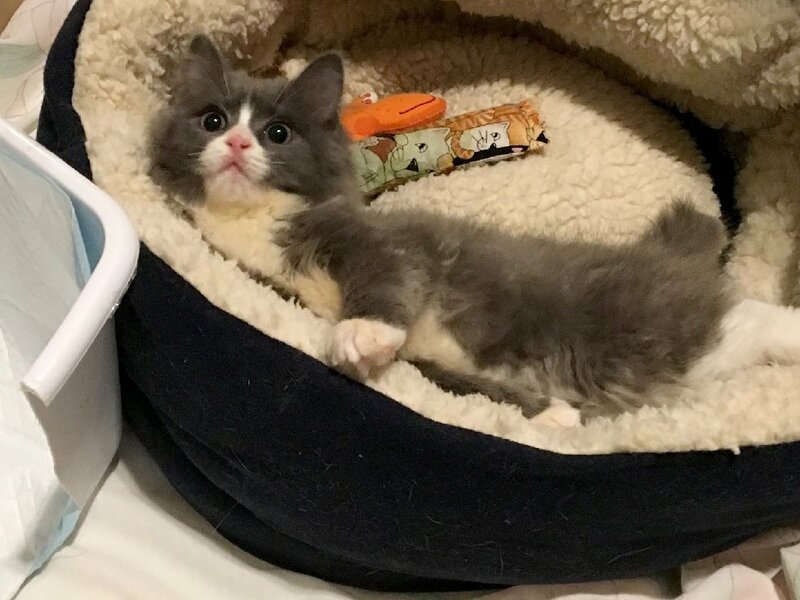 Wobbly Kitten Rejected at Birth, Finds Happiness Through Those Who Believe In Him, Now 2 Years Later. 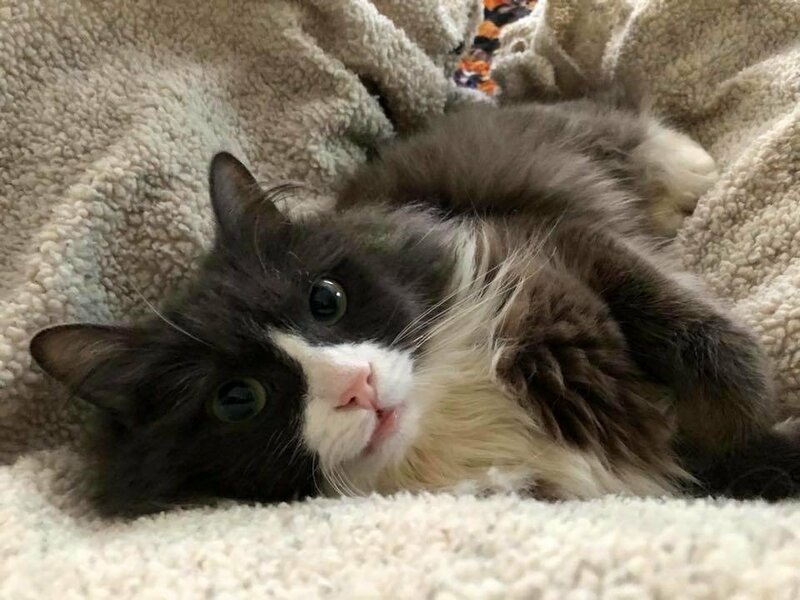 A kitty named Pepino has a remarkable story to tell — being very wobbly never stops him from loving life. He is clumsy and can't walk in a straight line, but this kitty is always happy and doesn't want people to feel sorry for him. When Pepino was born, he was rejected by his cat mother. 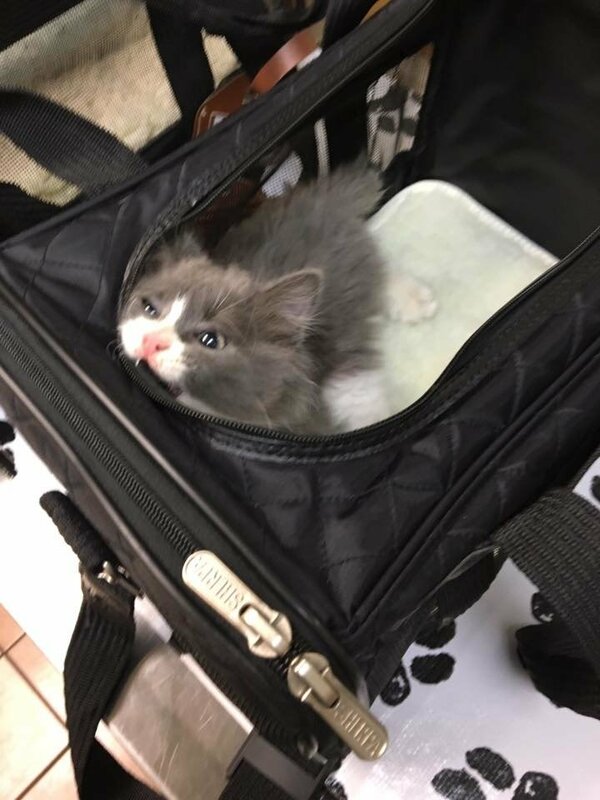 He was promptly taken to the VCA Cromwell Animal Hospital where he was given oxygen to help him breathe. 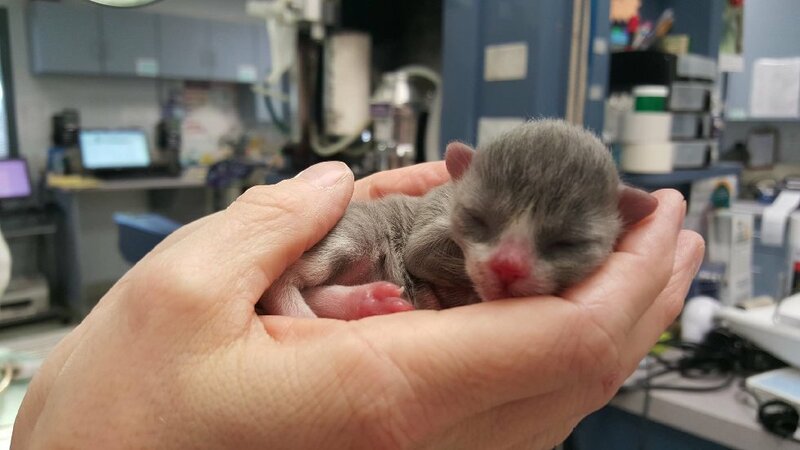 After many hours of intensive care, the little guy was brought back from the brink. 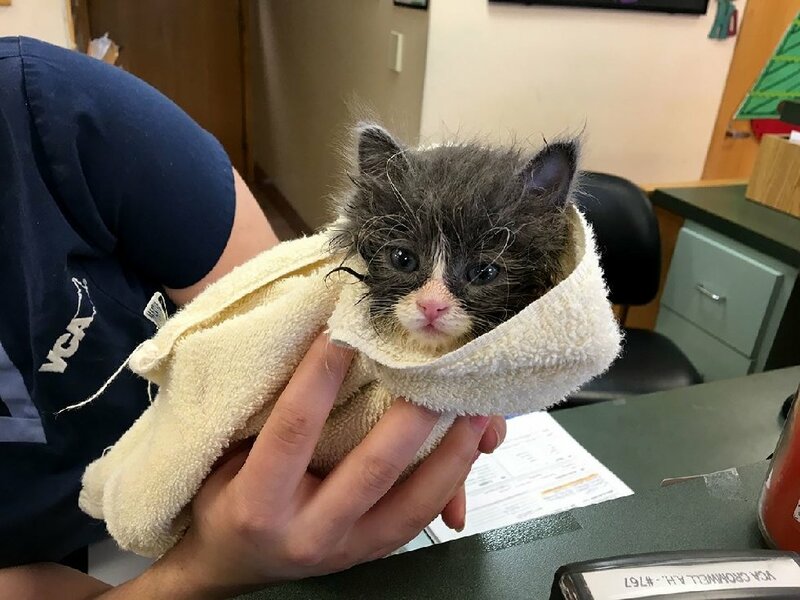 He wasn't out of the woods yet, so one of the staff members took him home to foster so they could continue to care for him around-the-clock. For many weeks, they weren't sure if he would survive so they didn't name him. His foster mom called him "Mousey" as he looked like a tiny mouse. As Pepino grew bigger, they noticed that he had trouble walking and would fall every time he tried to stand up. The kitten was born with Cerebellar Hypoplasia (CH), a condition that impedes his motor skills. Despite having severe CH, (which means he will need lifetime assistance), the kitten was always in good spirits. All he wanted was play time and cuddles with his caregivers. Pepino getting some love and snuggles from his canine surrogate mom. A man named Carmelo came to the hospital after a food drive. That's when he met little "Mousey" who just came out from a bath, wrapped in a purrfect purrito. "I was very surprised how small he was. He looked at me with an unsure curiosity and then I saw he had a 'bobtail'," Carmelo shared with us. He instantly fell in love with tiny Pepino, and that night, he went on the Internet to research on everything he could find about CH cats. 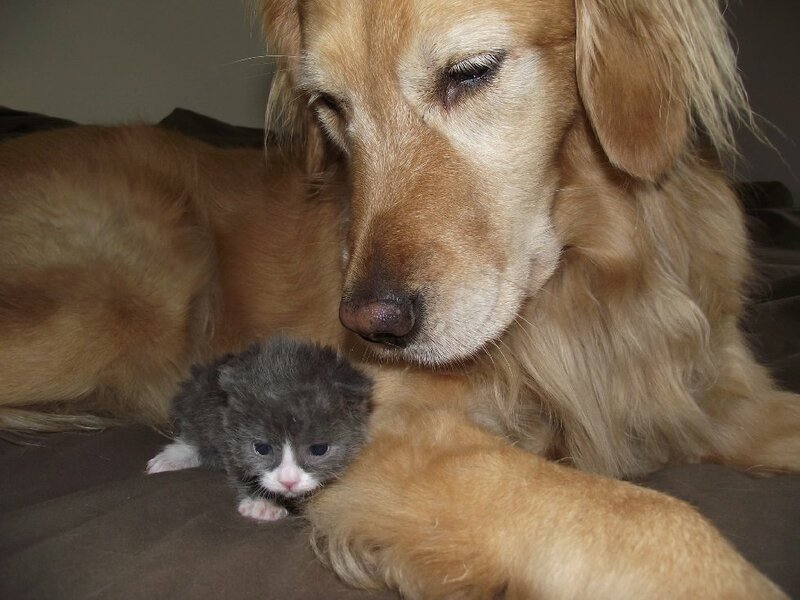 He was determined to give this little buddy a great life he so deserves. That following January, Pepino was adopted and moved in with his forever human dad. 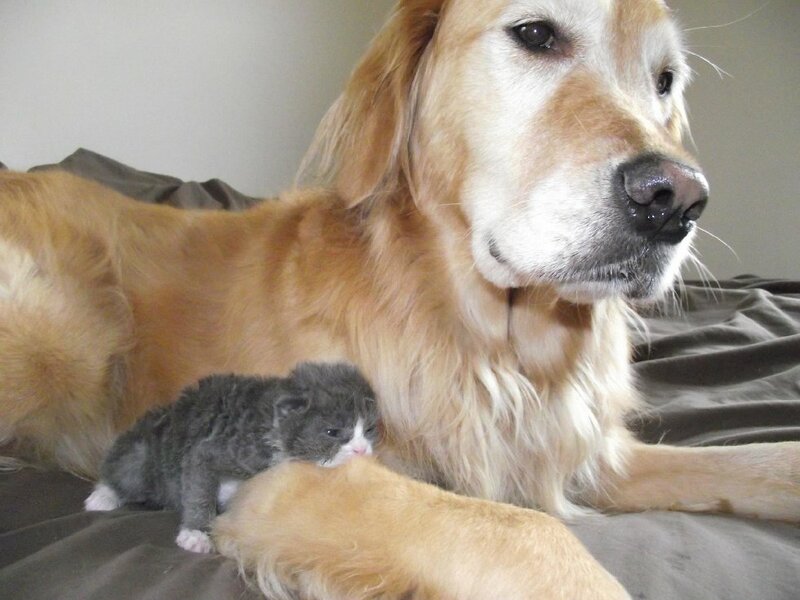 From day one, the little kitten showed everyone that he wasn't going to let his condition define him. He learned to use a litter box on his own, and as he grew bigger and stronger, he became much more coordinated. Carmelo helps him eat by holding him up. The kitty uses dishes made of soft silicone to help protect his teeth. He was already a lap kitty right after he moved into his new home. "The best thing is that Pepino has no idea he is 'different' than my other cats. He watches them and emulates them as much as he can," Carmelo told us. 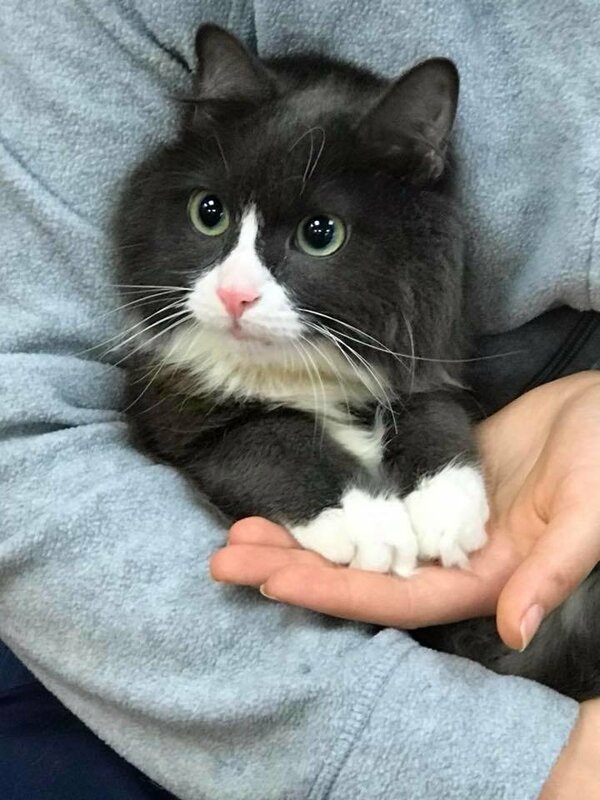 "He plays, wants to snuggle in the lap, he purrs when I pick him up, and reaches out with his little paws when he sees me. 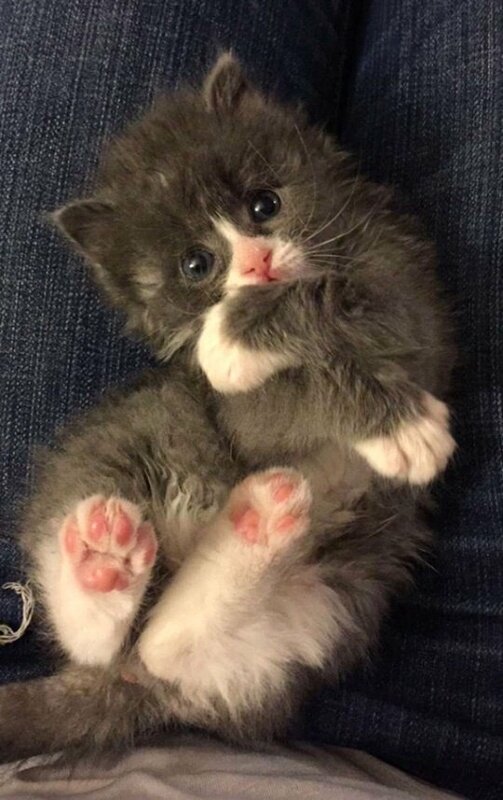 He is a very happy little cat." Pepino adores his cat dad and always wants to be where he is. He purrs up a storm when he's picked up in the morning and after feeding, he will snuggle up to his human before he leaves for work. "When he is tired he loves to curl up and sleep in my lap," Carmelo said. Wand toys are his favorite. They are his prey that he never fails to catch. It's been two years since Pepino found his forever home. He's all grown up and is stronger than ever. The little wonder boy doesn't want people to feel sorry for him because there hasn't been a day that he isn't living to the fullest. He's very happy and he wants everyone to know. Pepino is a little riot when he plays!